Dominic has practiced as a criminal defence lawyer since his admission to the roll in 2001. Dominic was trained by Terry O’Gorman, Leigh Rollason and the barristers briefed by the firm. He is deeply committed to protecting the rights of individuals accused of crime by all proper and lawful means. Dominic worked as a solicitor for Robertson O’Gorman in the period 2004 to 2008. In 2008 Dominic took a job with the Aboriginal Legal Service of Western Australia. His skills as an advocate and legal advisor were recognised by steady promotion. In 2011, he was appointed in-house Counsel. In Western Australian a ‘fused’ legal profession allows concurrent practice as a barrister and solicitor. Dominic has appeared as a barrister before the District and Supreme Courts in jury trials (including for murder), sentence hearings, bail applications and pre-trial applications. He has successfully argued a substantial number of appeals against conviction and sentence in the Supreme Court and the Court of Criminal Appeal. Dominic has twice appeared before the High Court of Australia. In 2016, Dominic returned to Brisbane and to Robertson O’Gorman. 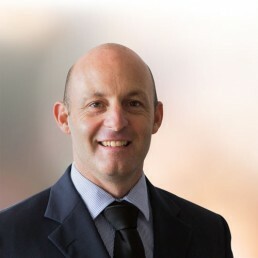 As a solicitor-advocate for Robertson O’Gorman, Dominic often appears without counsel in all courts across Queensland. He also works closely with senior barristers; undertaking the preparatory work so vital to laying the foundation for a successful defence in court. Dominic is passionate about criminal law, the protection of human rights and broader social justice issues. He is married with one child.